Owing to the rich industrial experience and expertise in this business, we are engaged in providing Sandstone Paving Tile. 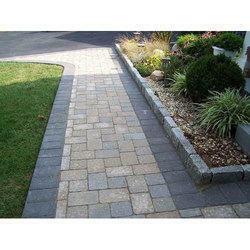 Our company has created a niche in the field of offering Outdoor Paving Block. Color: Grey,Red, Black, Brown, Dark Grey, Yellow. Designer pavers from Best Pavers are available in wide range of designs and can be used in places where elegant flooring is required. Our range is known for its extra ordinary strength, quality and durability.